Remote work is changing the way the world works. Join us at Outsite NYC on Tuesday, July 31st for a combination of coworking, learning, and networking. This event is perfect for the current or aspiring remote worker. Asia Lindsay, TED Alumni and Toptal’s Community Lead for Western Europe, will give a talk titled Remote Work 101: Everything You Wanted to Know About Remote Work, But Were Too Afraid to Ask. Asia’s talk starts at 12:30PM. 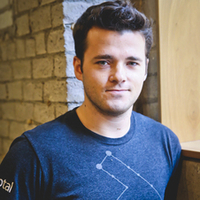 The event will also be a great opportunity to meet other Toptalers including Calvin Rosser, Toptal’s Head of Community, and Ethan Brooks, Toptal’s North American Community Lead. Local photographer Joseph Augstein will be on-site doing free professional headshots from 1:00 to 3:00PM for all who are interested. You can see photos he took from a recent Toptal event here. Remember, Toptal has a partnership with Outsite and Toptalers are eligible for a free year-long Outsite membership as well as special discounted nightly rates at Outsite’s locations around the world. The event is free and open to all who are interested so you’re welcome to invite a guest if they would like to learn more about Toptal or remote work. For questions regarding the event, please contact Ethan.